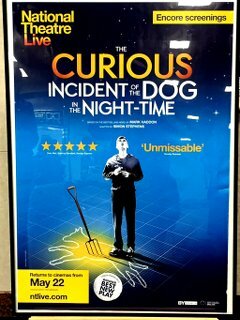 Based on the novel by Mark Haddon, adapted by Simon Stephens. Originally broadcast live from the Royal National Theatre in London to cinemas around the world on Thursday 6 September 2012. 上映: 吉祥寺オデヲン, 2016-04-16 18:30-21:30 JST.